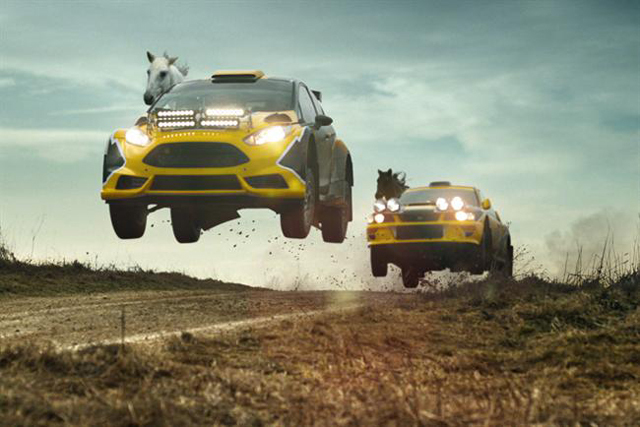 Betfair has launched a campaign featuring horses in motorcars, ahead of The Cheltenham Festival next month. Created by WCRS, the integrated campaign spans TV, digital and press, and builds upon the online sports betting operator’s existing strap line "this is play", in its deliberate move away from industry stereotypes. The campaign also aims to demonstrate how simple it is to use Betfair, by introducing the mnemonic "tap tap boom". Leon Jaume, an executive creative director at WCRS said: "In the Betfair world of ping-pong playing cephalopods and eccentric bars we still love to see horses racing against each other – particularly if they are driving rally cars." The 30-second TV commercial was directed by Brent Bonacorso through Papaya and will be further supported by 30-second offer spots. Mark Ody, the brand director at Betfiar, said: "People believe betting is exciting; and that betting with Betfair is even more exciting. Our new suite of ads brings this to life in a highly distinctive, enjoyable and engaging way. This really is play as it should be."